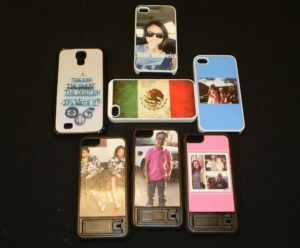 People love customizing their phone cases! 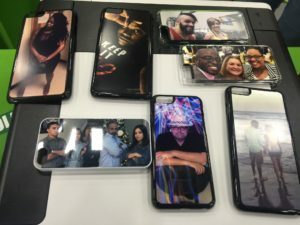 Our exclusive technology (or combination of technologies) allows us to have guests text message or e-mail their images to us and we print their favorite image and put it on a permanent phone case. This is one of the most popular things we do – and for good reason! In fact, though we’re out doing this type of event quite often, we’ve always been so busy that we rarely remember to take pictures or video. But that’s coming soon. Note: we always pack the most we’ve ever done at an event plus 20% more for newer phones. This generally covers demand. How many cases can we make an hour? Typically we average about 50 an hour, which means 200-240 at an event. Do you have a minimum time? Our fee includes up to 4 hours. We make as many as we can during that time. Can you stay longer than 4 hours? Of course. Additional fees will apply, but we can stay as long as you’d like. Do you give coop discounts? 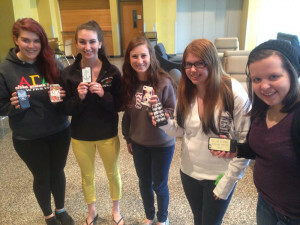 For our college friends we are members of APCA and NACA and fully participate in coop booking. The good news is – you don’t have to use the same novelties to get block booking prices. Many of our novelties use the same basic equipment so if we’re in the same area and are using similar equipment then we’re up for coop! How many people will you send to our event? 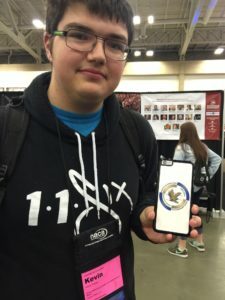 All events that use sublimation (the process of printing/pressing onto metal or plastics) include two people (unless otherwise noted during contracting). Occasionally we have to travel with just one person – but you’d always know that going into the event. Can we order a single phone case? 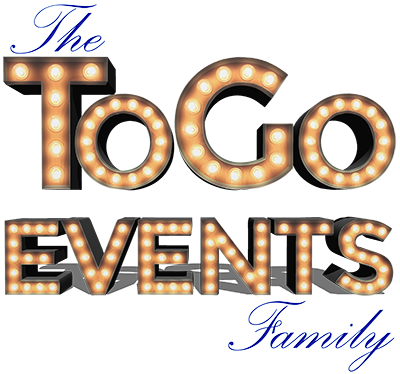 We have now have a designer set up on our FunFotosToGo.com website. 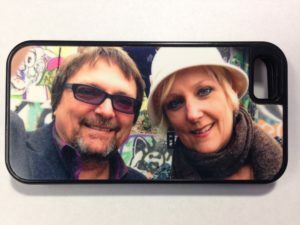 You can choose from backgrounds, artwork and text – and even upload your own photos and see exactly how they’ll look on your case before ordering. Many of our customizable novelties are available via the website now.